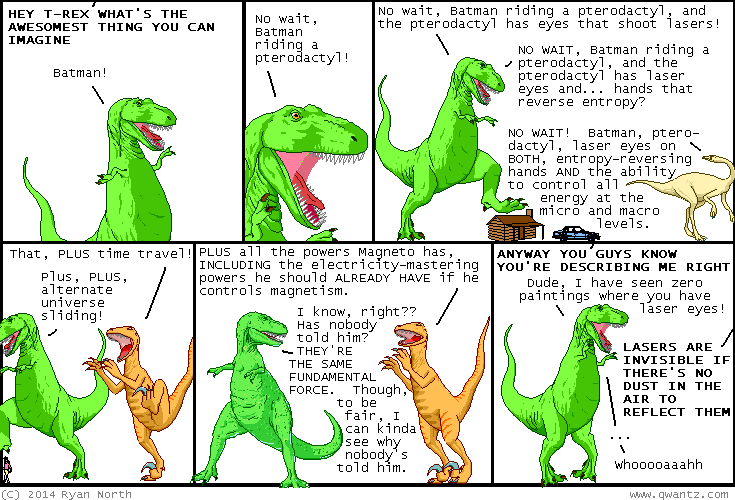 Dinosaur Comics - October 23rd, 2014 - awesome fun times! –It takes DECADES? Like, LITERAL decades?! October 23rd, 2014: GETTING SO EXCITED FOR HALLOWE'EN, you guys. I carved a pumpkin! I called my carving, "Um, Actually, The Constitution-Class Enterprise Never Canonically Encountered The Collective".